We have an activity area where we are delivering a ‘paint your own pot’ and ‘throw a pot’ for paying members of the public. This is a commercial operation that is particularly popular during the school holidays and at weekends. It is an area that we would like to expand with extra activities and open it to parties an events. We would love support and help with this, which would also require you to work along side and support adults with learning disabilities. 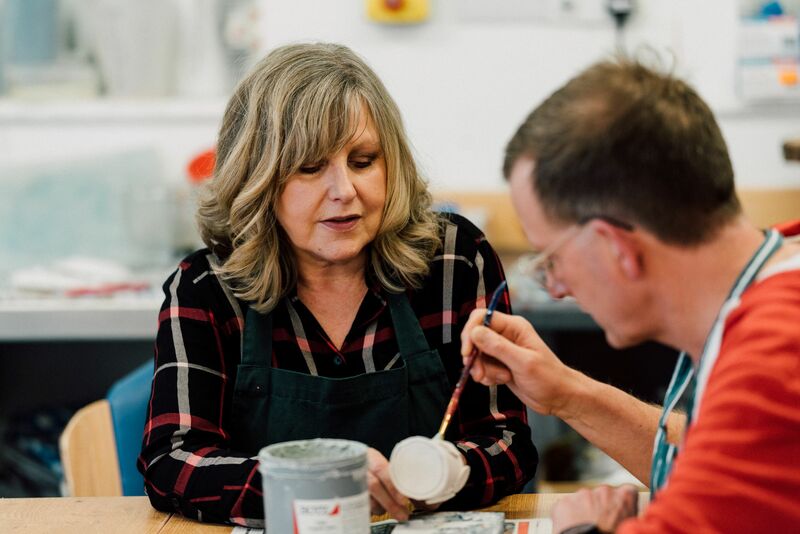 We need a person with a mature outlook that is capable of working alongside someone with support needs, enjoys working with families and young children, has a love of crafts and creating and could use this opportunity to expand our current offer and perhaps take on activities of their own. A love of crafts and creating and possible experience of working with supported people. A mature outlook and a sense of fun. An idea of what needs to be considered with regards to efficiencies and health & safety issues.